Ramakrishna Mission Vivekananda Educational and Research Institute (RKMVERI) is a non-profit educational institution (Deemed-to-be-University) that relies on financial support from government bodies, corporates and individual donors. RKMVERI is neither self-financing, nor a recipient of any regular funding from any governmental agency. Thus it is not a `private’ university, nor a government-funded `grant-in-aid’ institution. RKMVERI appeals to the well-wishers, and admirers & devotees of Ramakrishna-Vivekananda ideology to support the University through donations under the categories mentioned below. Indian donations include: donations from, 1) all Debit / Credit Cards issued in India, 2) Bank Accounts opened in India, 3) other digital payment instruments like digital wallets issued in India. At present, foreign donations (Cards issued, Bank Accounts created outside India) can not be accepted here. Please see Donate page for other options. 100% Tax Exemption: The Govt. of India has granted 100% income tax exemption to RKMVERI under section 80G, subsection 2(a) (iii f) of the income tax act, 1961. 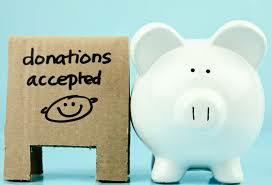 All the donations to RKMVERI are eligible for 100% exemption from income tax. Presently Donations for only Belur Campus are accepted here. For Narendrapur (Kolkata), Coimbatore and Ranchi Campuses, please visit their dedicated websites for ways to donate to them. NOTE: As per RBI regulations PAN Number is mandatory for donations more than ₹10,000. Kindly enter the PAN Number if your donation is more than ₹10,000. I request the authorities of RKMVERI to accept this endowment contribution towards it's development. Amount and purpose of the donation are as specified above.